New Music: Najee: "Fly With The Wind"
Check out “Fly With The Wind” from jazz legend Najee. 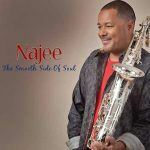 The single is from Najee’s new album You, Me And Forever on Shanachie Entertainment. From the Press Release: Najee assembles an all-star cast of musicians on You, Me And Forever that includes pianists/composers James Lloyd (Pieces Of A Dream) and Robert Damper (Kenny G). 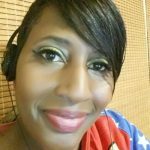 The album also features guest spots from vocalist Frank McComb (Branford Marsalis, Buckshot LeFonque, Gamble & Huff), guitarist and vocalist Chuck Johnson (who has collaborated with Najee for close to a decade) and singer Andrea Wallace (Kirk Franklin). 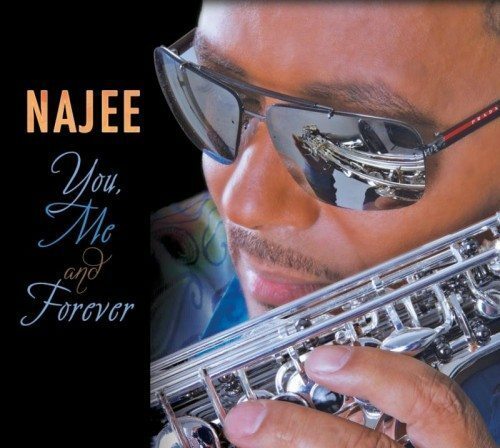 The making of You, Me And Forever was intercontinental as Najee recorded the music in such diverse and far apart locations as Kansas City and London. Equally at home playing the tenor, soprano and flute, Najee features all three throughout the CD. “As a whole they all make up my musical personality,” he explains. “The instrument I use depends on the composition. However, I did play more flute on this recording.” Najee’s intoxicatingly warm and sweet flute opens You, Me And Forever on the fluid and majestic original “Air.” He effortlessly soars over blistering up tempo passages supported by a funk and groove-heavy rhythm section. Switching to tenor, Najee and Chris “Big Dog” Davis let loose on a bluesy number he penned with fellow saxman Alex Bugnon, “Fly With The Wind.” Then, Najee transports to Brazil with a stellar and tender reworking of Antonio Carlos Jobim’s anathematic 1967 Bossa Nova hit “Wave” featuring pianist Robert Damper. “The CD reflects my need as an artist to show the different facets of my musical personality,” comments Najee who enjoys biking, swimming and family time when he is not busy touring.”I enjoy the challenge of recording music that can be commercially accessible and diverse at the same time.” Najee’s chameleonic artistry allows him to traverse diverse artistic terrain without skipping a beat. He seamlessly moves from Jobim to a rousing version of David Pack and Ambrosia’s 1980 Gold selling hit “Biggest Part of Me.” The memorable number highlights the powerhouse vocals of guitarist and singer Chuck Johnson. “He’s a great talent that I have had the pleasure of featuring every night on the road. We’ve been working together since 2007.” Najee also shines light on the vocal artistry of Frank McComb, whose buttery smooth vocals can be heard on the song “Signature,” which the singer co-wrote. 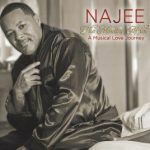 Najee’s cascading flute elevates us to new heights on the melodically free-flowing and pirouetting “Butterfly Girl.” Najee met Andrea Wallace, a member of Kirk Franklin’s ‘Kirk Franklin & The Family,’ while performing at the Dallas Convention Center early in 2015. “She sang a song with me onstage and blew the audience away,” the multi-instrumentalist recalls. 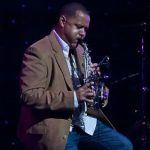 Najee knew Wallace was the perfect voice to deliver the show-stopping number “Give It All We’ve Got,” which the duo shared hands in writing along with Dean Mark, Gareth Brown and Mark Walker. Najee joins forces with keyboardist Robert Damper for the album’s seductive R&B ballad and title track. The duo go back to their days at the New England Conservatory of Music. “We have been friends ever since. 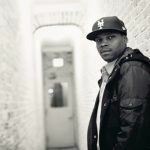 He is a native of Seattle, WA and attended the same High School as Kenny G. He has been Kenny’s keyboardist and musical director for well over 30 years.” The edgy, syncopated, percussion driven and funk-laced “Spectrum,” follows and Najee enlists support from Pieces Of A Dreams’ keyboardist supreme James Lloyd for the Ahmad Aladeen composition “Jannah.” The playful and synergistic interplay between Najee and Lloyd take listeners on an intimate musical journey as the duo stretch out and take flight. Their riveting performance is the perfect way to conclude You, Me And Forever.